All the pieces have fallen in to place for a fun & formal night out. 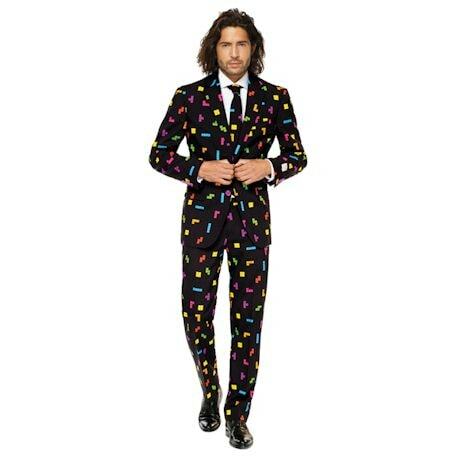 Officially licensed Tetris 3-piece suit includes matching jacket, pants & tie. Machine wash. 100% polyester. Imported. Slimcut in US suit sizing 40-48. Order a size up for a looser fit.